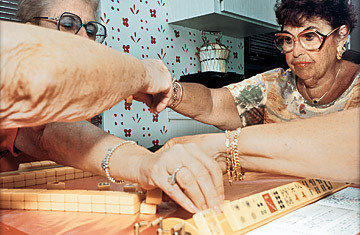 Engaging the brain with games like mah-jongg can delay the onset of dementia but lead to faster-progressing disease once it emerges. A genetic survey of 50,000 people has revealed the first gene linked to migraine headaches--and potential for more targeted treatment. A variant of the newly identified gene causes a brain chemical to build up between nerve endings, triggering a migraine's painful symptoms. Sure, they're easier on the environment, but are organic strawberries--free of pesticides and synthetic growth promoters--actually more nutritious? Yes, at least according to a new study that compared conventionally grown and organic strawberries. The organic fruit not only contained more antioxidants and other compounds beneficial to health; in a blind test, it tasted better too.